The following offers are only available in Germany. If you have just graduated from school, a great way to start your professional education is an apprenticeship. At our German companies, we provide vocational training for a number of professions. As a FUCHS apprentice, you can explore a wealth of experiences as you acquire knowledge and know-how from well-versed experts. Right from the outset, you will be part of the team and contribute your own ideas. For the necessary theoretical knowledge, you will attend a vocational school alongside your training. You can choose among the apprenticeships below. Alternatively, you can pursue a combined vocational training and degree program. This means that you will expand your career prospects within different departments at FUCHS and, at the same time, gain theoretical knowledge at the Baden-Württemberg Cooperative State University. 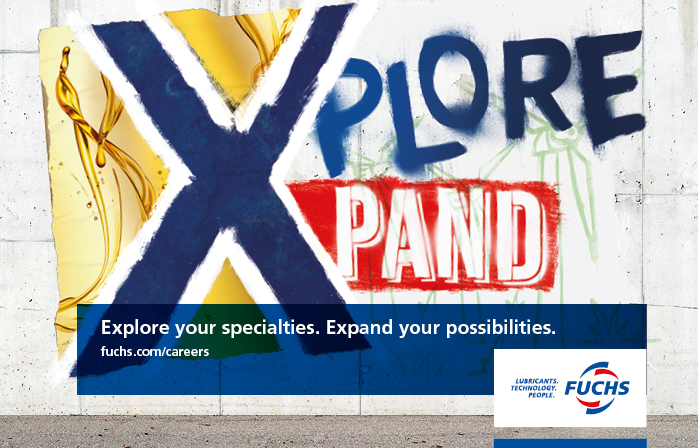 The program also includes a six-week internship in one of our worldwide subsidiaries. In the end, you will not only obtain a bachelor’s degree, but also benefit from your practical training. That means you will have already explored the working world, hold key qualifications such as communication and team skills, and have started establishing your personal network. This vocational training is only available in Germany. This career-integrated degree course is only available in Germany.